Each numbered cell represents the start of an "island", which must be separated from the other islands by the "river". Islands can touch on the corners. The river must be all of one piece, and cannot form any "pools" of 2x2 (or more) cells, but can have multiple branches. White or Gray Cells are land, Black Cells are water. 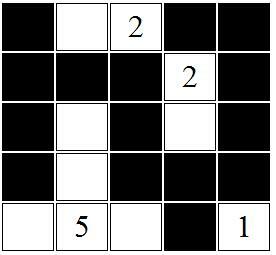 Logic Games Online has an excellent puzzle selection and archives. I cribbed off Josh for the interface of this site. Thanks, Josh! 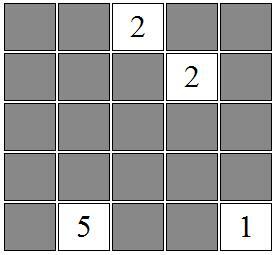 Puzzle-Nurikabe has a load of puzzles, including many sizes, but they tend to be too easy. Wikipedia has an article, naturally.